In Sydney for the Gartner Symposium, analyst Linda Cohen spoke to CIO Australia and said the idea that outsourcing is a problem solver is not always the case. Cohen said another misconception CIOs may have about outsourcing is that it will save the business money over a period of time. So, let me get this straight, you do receive a lower cost to operate when you outsource, but face a challenge to sustain it? 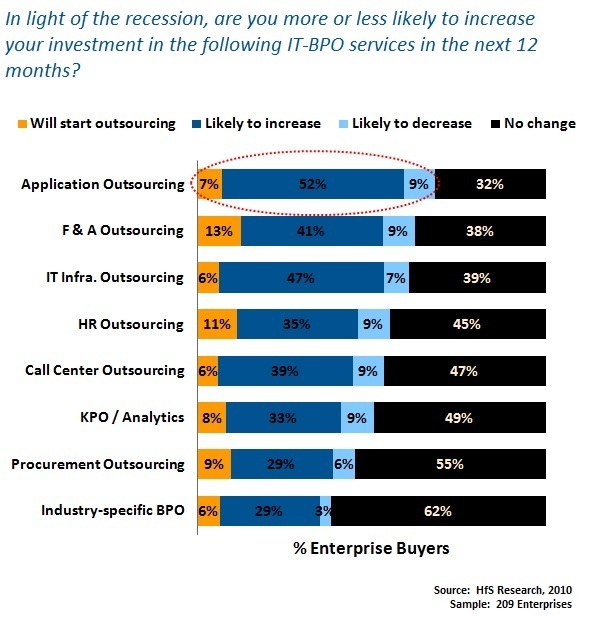 That’s a little strange, because when we spoke with 50 of the largest enterprises across the US, Europe and Australia recently, they all outsourced IT to save a lot of money, and the majority were looking aggressively at increasing their outsource scope to find further savings, while others were pretty content with the status quo. Noone felt their firm hadn’t benefited financially from the exercise, and those that had initial teething problems had largely got on top of them. And most of them actually liked the value and the access to specific software expertise they received from some of their providers – and their only real complaint was that they wanted more. I may have to agree that sustaining operations and producing quality work at low cost is the real nemesis of outsourcing projects offshore. When you are facing the reality that your current and loyal customers are completely dissatisfied with the products or services produced by your offshore team, you know that your business is heading down the drain. It’s a lot easier keeping old clients than getting new ones. Then, here comes cloud computing and crowdsourcing challenging those who are in the outsourcing business, especially those in tech or IT. We’ll see just how businesses can come up with some solid way of addressing the issue and not just a band-aid solution to fix what was broken. From my experience, outsourcing CAN save money, but sometimes does not, and often, where it does save money, the savings are not sustainable. But in many respects, the whole tack of “outsourcing saves money” is misguided and leads to bad outsourcing decisions being made and deals being struck. The most successful outsourcing arrangements I see are associated with companies that had higher order aspirations – for example, creating management bandwidth, energy and focus to do things such as “align innovative IT with the business to drive productivity and revenue, to explore Cloud Computing and smarter governance / multi-sourcing models” as you mention above. Having such higher order aspirations creates a much more productive and conducive climate in which to explore and structure alternate sourcing arrangements. If they yield cost savings, that is a welcome bonus!